Visited this place with a non-member in July last year, I had taken some photo's on my mobile phone as back then i didn't have a proper camera, never posted up a report as i deemed the photo's to not be worth it. But then it recently occurred to me that no one else on here had done it or posted any photo's and tonight i finally found them in my dropbox (thankfully as that phone has now perished). Excuse the poorly taken images, they aren't the best and there's not many as we definitely set off some sort of alarm (might have been a fire panel fault, who knows) so thought it was best not to stick around too long! Entered the place in complete darkness and after a little wonder i found a single switch in the reception that literally said 'Please switch on' and so i thought it was rude not to and hey presto the hall lit up! Surprised it wasn't that trashed considering the area it's in! The Century cinema in Pitsea Broadway first opened its doors on Friday 28th March, 1930. The chairman of Pitsea Parish Council, Mr. William Pedlar performed the opening duties. 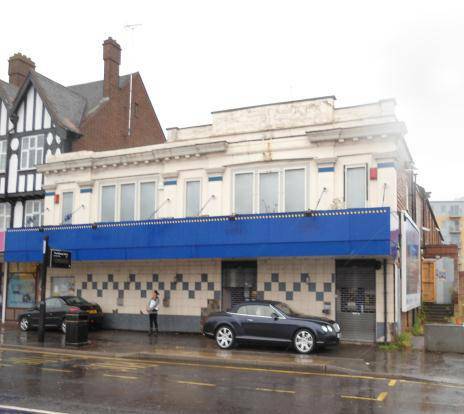 Its original name was Broadway and was one of a number of buildings funded by local businessman Harold George Howard. It had seating for 700 and would also provide a whole host of entertainment including variety shows and professional wrestling, as well as a children's Saturday morning matinee programme. The theatre also featured a below floor level orchestra pit and upstairs living accommodation. When first built it had no mains electricity along with the flats and shops on both sides of the Broadway. Diesel powered generators, housed in a purpose built building that stood behind the flats along side the cinema, provided the electricity for the cinema and also to the shops, Tudor Chambers, the Railway Hotel, Anne Boleyn Mansions, adjacent street lights and the war memorial that until 1969 stood at the junction with Station Lane. The cinema was still receiving its power from these generators in 1956 with the responsibility of their running assigned to the staff. During the 1940s it became part of the local Radion (Rayleigh) Ltd., group of cinemas and was managed by Mr. James L. Webster, a director of the company. In 1954 the cinema was acquired by millionaire businessman Sidney Bernstein's Granada Theatres Ltd. and became part of the Granada Cinema Circuit chain who then closed the theatre in January 1955 to carry out renovation work estimated at Â£30,000. 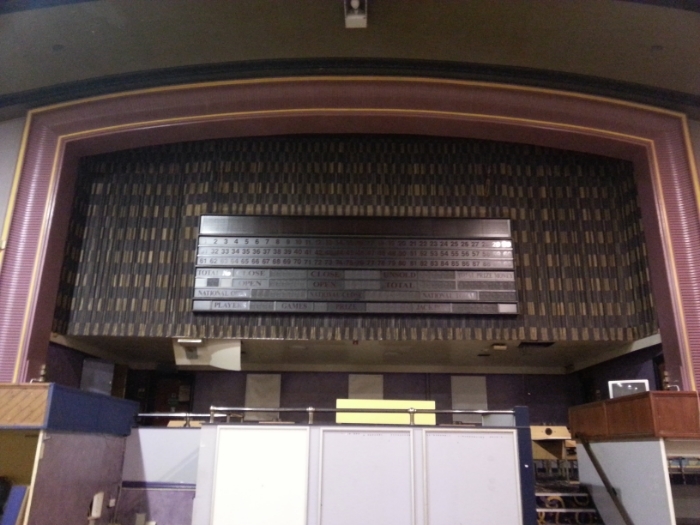 These improvements included a new Cinemascope screen and sound as well as a name change to Century when it re-opened on Tuesday 15th February, 1955. At the time of the re-opening the cinemas' manager was Mr. George Mallett and as well as the main auditorium there was a restaurant, snack bar and sweet shop. Two managers in the 1950s were Mr. Fred Dawson and his successor, Mr. G.S. Bird and in the 1960s Mr. Deryck Haynes. In 1962 professional wrestling bouts became an additional feature and in the late 1960s bingo nights were introduced to boost takings and these would prove more popular than the cinema programme which came to an end on Saturday 31st October, 1970. The final days film programme was the 1963 Greek mythology fantasy 'Jason and the Argonauts', starring Todd Armstrong, followed by the husband and wife team of Bill Travers and Virginia Mckenna in the 1966 adventure 'Born Free'. 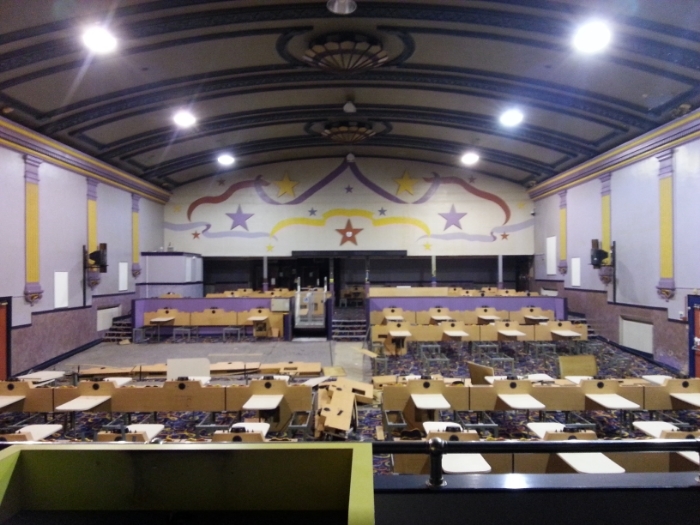 The Century was then converted for permanent use as a bingo hall and renamed Granada Social Club. 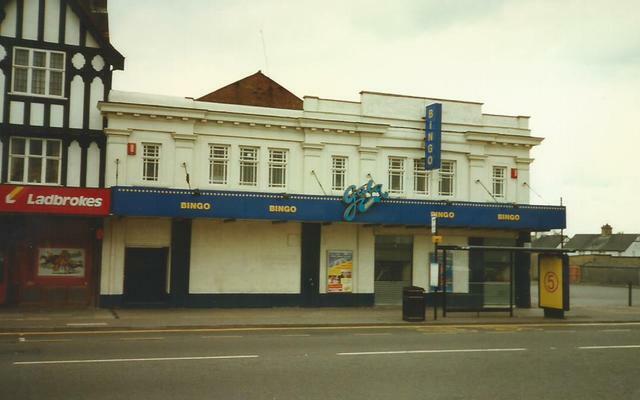 The club was renamed Gala in 1991 when Granada Social Clubs (Granada Theatres Ltd.) merged with Coral Social Clubs who were owned by brewery company Bass. 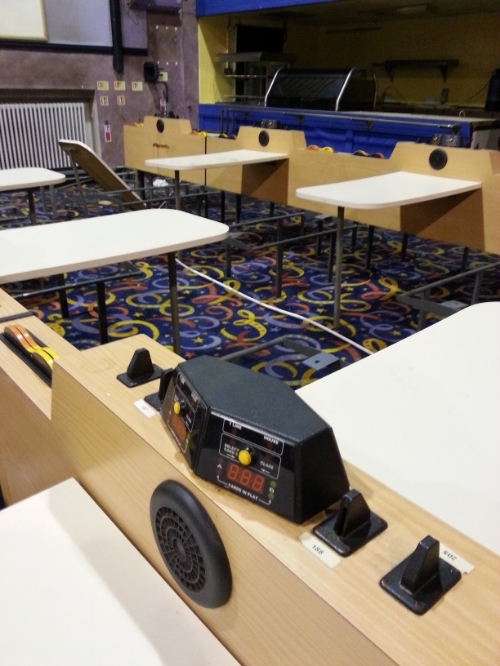 In 1997 Bass sold their bingo chain in a management buy-in and the club continued as Gala until owner Gala Coral Group Ltd announced their intention to close down the venue following a reorganisation of the company that also saw other bingo clubs closed throughout the United Kingdom. 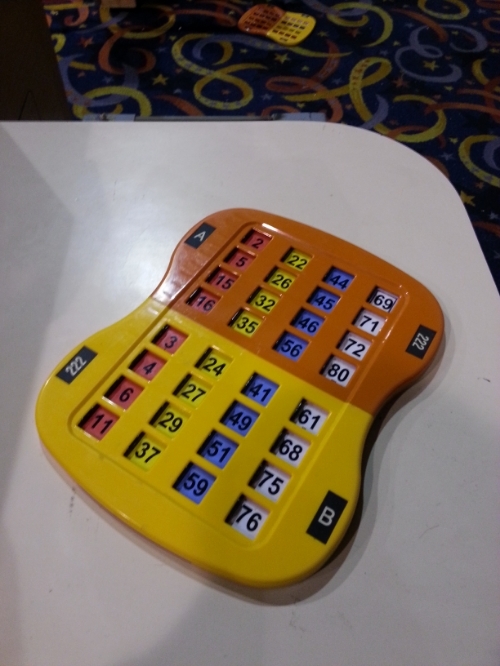 The final bingo session was held on Monday 27th July, 2009.
Notable past events include the crowning of the carnival queen, held at the venue in July 1952, and a 1955 celebrity attended evening with film stars Jill Adams and Derek Bond to promote the namechange to Century. Outwardly the buildings appearance remains little altered from when it was first built. How it looked back when it was open. How it looks today pretty much (not my photo). From the back of the hall. Kitchen area in the background. A re-visit is definitely on the cards within the next month for a better report and more pictures. Dude these pics aren't bad. Definitely worth a look again, was there anything else to explore? Cheers man, yeah there's the front lobby/reception area. 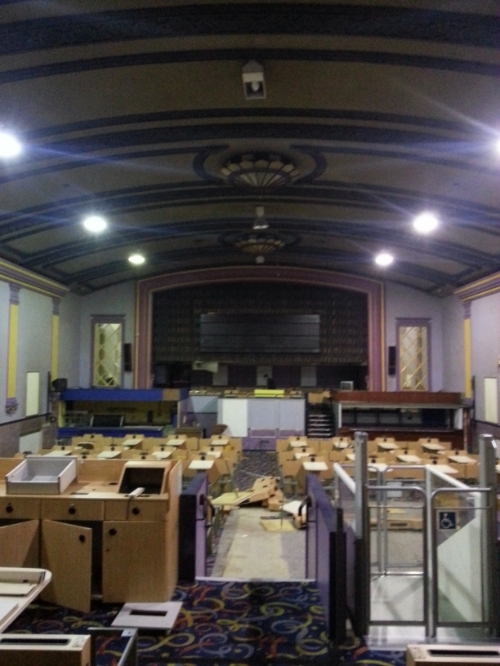 And upstairs there's offices, potentially an old projector room, i can't remember plus it was pitch black up there! And apparently there's a basement but i don't recall seeing any stairs going down. Stairs would be hidden if there were any, cupboard or something, anyways, looks like a nice site. Cheers! Thanks for posting, Worth more than 99% of other threads on here. Im guessing as its a small place theres little chance of finding much really good in there but you never know. Basement, Loft etc is where the best finds normally hide! Great set of photos - Always breaks me heart to see Bingo Halls in that state. 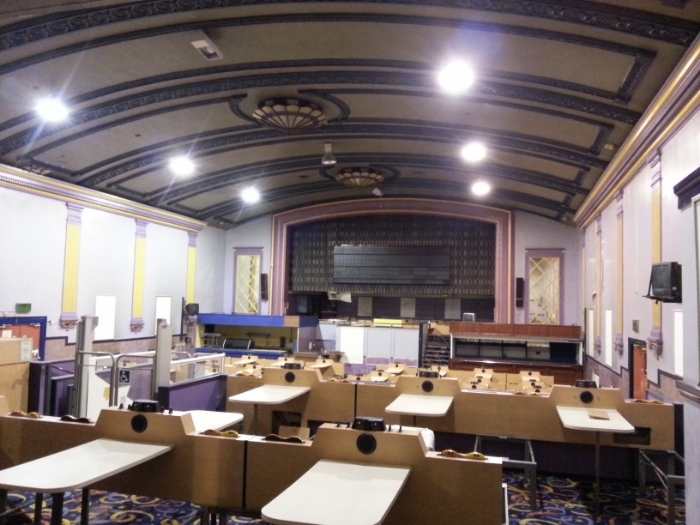 Great set of photos, it always breaks me heart to see a good old fashioned bingo hall left so neglected. Neglected? I'd eat my dinner off that floor. Give it few months though!